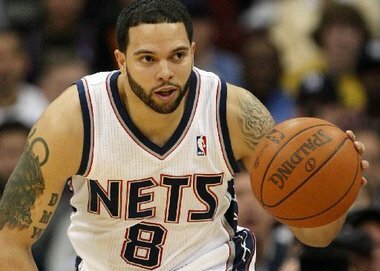 Deron Williams made it official, signing a contract with Besiktas, a top tier team in Turkey. While not the first NBA player to sign a contract as a result of the lockout, he is clearly the most high profile (superstar) to do so thus far. Others may follow suit, with Kobe Bryant, Dwight Howard, Kevin Durant, Rudy Gay and Stephen Curry all noting interest in the prospects of playing overseas. Having already written on the larger implications here, in terms of both the lockout and the globalization of basketball, what is striking is how Williams’ decision to sign overseas and the possibilities from other superstars has provoked a backlash from fans and media commentators alike. Not surprisingly the patriotism and loyalty of players has been questioned, as his been their commitment to the American fans. Similarly, players have been criticized for being greedy, whose sole motivation is to “get paid” (the fact that players were locked out by the owners often gets OBSCURED – ignored – within these discussions). Yet, what has been most striking is the systematic questioning about these players willingness to play overseas. Recycling longstanding arguments about athletes as pampered, over indulged, and spoiled, a charge that has commonplace against black athletes, these commentators both question the willingness of these players to play in non-NBA conditions all while questioning their mental toughness. Umar Ali, while acknowledging the possibility of NBA players going overseas, focused on the horrid conditions there and the spoiled nature of the players themselves. Though the accommodations pale in comparison to what the average player receives while playing in the NBA - five-star hotel rooms, luxury vehicle transports and catered food compared to second rate rooms on the road, cramped buses and whatever is provided for sustenance - there is still enough to sway players to consider making the transition. At one level, these comments are laughable given globalization. Sports Center is available via Satellite in many counties as is much of American entertainment television. Similarly, American food and products familiar to Americans are commonplace throughout the world. Be real, this ain’t Survivor. There also a certain irony in the claims that these players couldn’t survive overseas given the long tradition of black artists fleeing to Europe in search of a more welcoming audience and broader community. Yet, the argument also takes on a more elitist, class-based and nationalist tone, given the stated argument that the rest of the word cannot offer the luxury found in the United States. They might not know about the 5-star hotels found in China, Turkey, and countless other potential destinations. In fact, there are millionaires throughout the world (there may even be Americans living elsewhere – shocking, I know) who live the lifestyles of the rich and famous. What is striking here is how white racial framing and myopic American nationalism wrapped in exceptionalism guides the conversation. It reflects the longstanding idea that civilization begins and ends at the American shore not only erasing globalization but also the beauty and richness of cultures and nations throughout the globe. Yet, these comments are just about a myopic and xenophobic understanding of the rest of the world. It is equally a statement about the black athlete. The NBA’s primarily black players are reduced to overindulged and pampered babies incapable of working and living in a different location. The assumed luxuries and privileges are constructed as commonplace and expected by the NBA baller, thereby reducing the modern black athlete to being both-of-touch and exceptionally spoiled. It is indicative of a narrative frame that constructs contemporary black-athletes as spoiled brats. In other words, the criticism aren’t simply that today’s NBA players require a millionaire lifestyle, but worse that these players both expect and demand a lifestyle that they are not grateful for having as a result of their basketball careers. Writing about the 1995 labor stoppage in Basketball Jones, Kenneth Shropshire described “the dominant public reaction” in distinctly racialized terms. In his estimation, public scorn for the players reflected a belief that they “should be grateful for what you have” (2000, p. 83). “America loves their Black entertainers when they behave properly and stay in their place,” writes Todd Boyd in the same collection. “When the players realize their value, their significance to the game, and try to capitalize on this, they are held in the highest contempt” (2000, p. 65). William Rhoden, in Forty Million Dollar Slaves, further articulates the racial nature of this narrative: “This is a crucial problem with black athletes, the notion that they should be grateful for the things that they’ve rightfully earned, that they should come hat-in-hand in gratitude for the money and power that they themselves generate. It’s this sense of gratitude and subservience . . .” (2006, p. 189). What becomes evident here is that the increased leverage from the players, in their ability to convert their talents and popularity outside the United States into economic gains is becoming the basis for the commonplace narrative that paints the NBA’s primarily black players as greedy, ungrateful, pampered, spoiled, and incapable of existing without America.